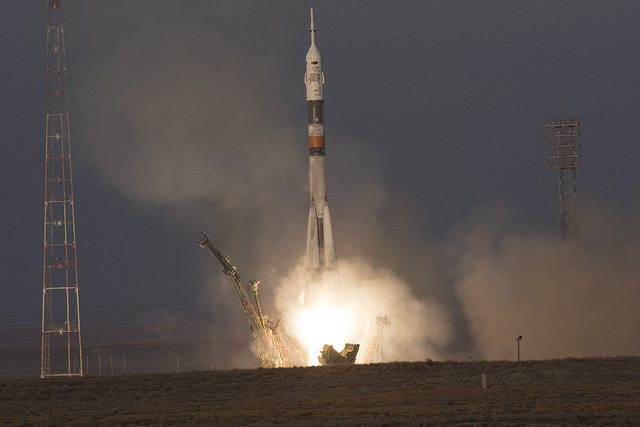 A few hours ago the Soyuz TMA-19M spacecraft was launched from the Baikonur Cosmodrome in Kazakhstan and after about six anx a half hours reached the International Space Station carrying three new crew members. The Soyuz used the fast path normally used but it took a bit longer than anticipated because of a problem with the automatic docking system: as a consequence, the maneuver was conducted manually. Yuri Ivanovich Malenchenko. Born on December 22, 1961 in Svitlovodsk, in the then USSR and now in Ukraine, graduated from the Kharkiv Military Aviation School and from the Zhukovsky Air Force Engineering Academy then served as a military pilot. He was selected as a cosmonaut in 1987 and, after training, started being assigned to backup crews for the Russian space station Mir. In July 1994 he started his first mission on the Mir returning to Earth in November 1994. In September 2000 he participated in the STS-106 mission on the Space Shuttle Atlantis, which included the transport of supplies to the International Space Station. He completed his first mission to the Station between April and October 2003 as commander of the Expedition 7. During that mission, he got married while the bride was on Earth. He got back to the Station as part of Expedition 16 between October 2007 and April 2008. He came back again as part of Expedition 32/33 between July and November 2012. During the course of his missions he carried out a total of five spacewalks. Timothy Nigel Peake. Born on April 7, 1972 in Chichester, West Sussex, England, graduated from the Royal Military Academy Sandhurst then served as helicopter pilot and flight instructor. In 2009 he left the army and was selected as an astronaut by ESA. In 2012 he participated in the NEEMO 16 underwater mission. 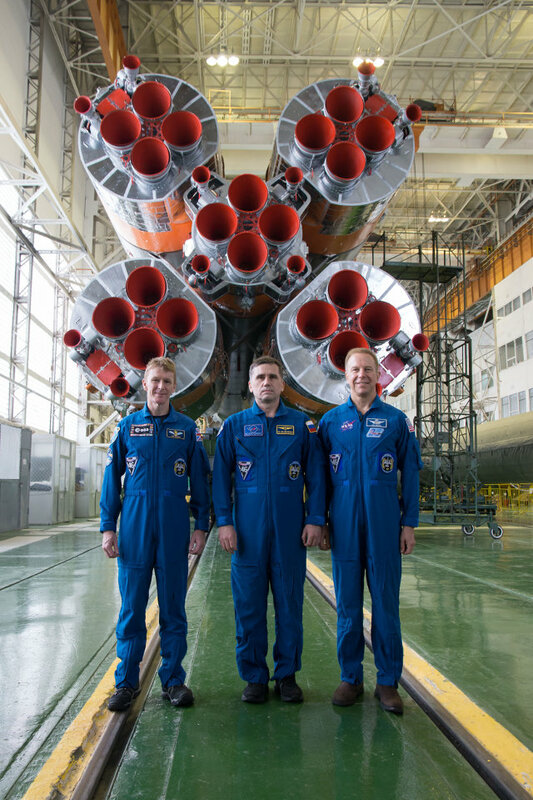 Having been part of the backup crew for Expedition 44 he’s now on his first space mission, called Principia. He’s married and the couple has two children. Timothy Lennart Kopra. Born on April 9, 1963 in Austin, Texas, in the USA, he graduated from the West Point Military Academy, where he also earned a Bachelor of Science degree and then a Master in aerospace engineering at GeorgiaTech in 1995, a Master of Strategic Studies at the Army War College in 2006 and a Master of Business Administration (MBA) at London Business School and Columbia Business School in 2013. He was assigned to NASA in 1998 as a test engineer. In 2006 he participated in the NEEMO 11 mission underwater. In July 2007 he traveled on the Space Shuttle Endeavour in the STS-127 mission to join the Expedition 20 crew on the International Space Station and came back to Earth in September 2009 on the Space Shuttle Discovery during the STS-128 mission. He was supposed to be to be part of the STS-133 mission, the last last of the Space Shuttle Discovery, but was replaced due to a hip injury. He completed a spacewalk. After a series of missions that were out of the ordinary because of delays following a check-up of the Soyuz rockets needed after an mishap launching a Progress cargo spacecraft and the year-long mission, things are returning to normal. As a result, the three crew members will remain on the International Space Station just over five and a half months, until the beginning of June 2016.